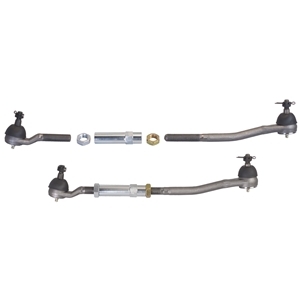 Tie Rod and Billet Sleeve Conversion Set for 1967-69 Mustang to 1970-73 Spindle - Contains 70-73 outer tie rod with billet adjuster sleeve and 67-69 inner tie rod. Use with TCP spindle (TCP SPND-01) and 67-69 Mustang and 67-69 Ford/Mercury vehicles. Note: Installation requires 70-73 Mustang spindle.